Gear Up Girl is an annual ride held in my hometown of Sydney, to encourage women of all ages and abilities to enjoy the freedom of riding. Its key supporter is The Heart Foundation which I think is a fantastic sponsorship arrangement because heart disease is such a big killer of women. But the best part of the relationship is that cycling is so good for heart health. When you exercise, your heart needs to beat faster and more powerfully to pump more blood around your body in order to supply enough oxygen to your muscles so that they can do the work. 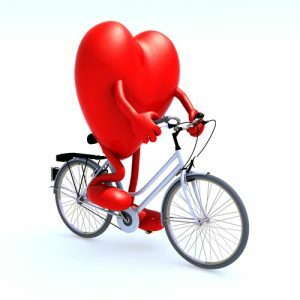 At rest your heart normally pumps about 4 litres of blood per minute, but during moderate aerobic activities such as cycling, this increases to approximately 20 litres of blood per minute. This increase is achieved by your heart beating faster and more powerfully so that it pumps out more blood with each beat. Regular cycling stimulates and improves your heart, lungs and circulation, reducing your risk of cardiovascular diseases. Cycling has also been proven to strengthen your heart muscles, lower your resting pulse, and reduce blood fat levels. 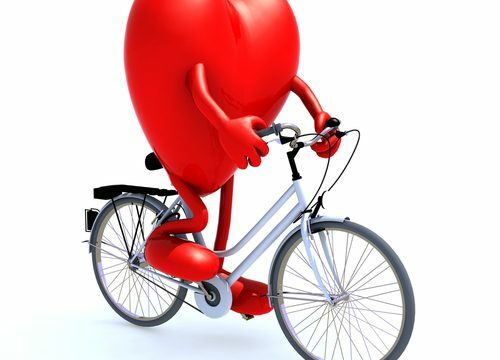 According to a study by the British Medical Association, cycling just 32 km (20 miles) a week reduces the potential to develop heart disease by a whopping 50%, because it uses large muscle groups in the legs to elevate your heart rate, which in turn improves cardiovascular fitness. And apart from regular riding having a positive impact on your general health, most active cyclists are more in tune with their bodies, and therefore more likely to recognise the signs of any health problems before they become serious. So what are you waiting for? Sign up for Gear Up Girl now. It’s on Sunday, 11 March 2018 with a 20 km, 40 km, 60 km and 80 km option. That makes it completely doable for all levels of fitness. Share your experiences of rides like Gear Up Girl and the benefits to heart health. Use comments or the Women Who Cycle Facebook page.